A pool pump is the heart of your pool’s plumbing system. It keeps water circulating throughout your pool, keeps chemicals mixed and removes debris so you can continue to enjoy using your Parker pool longer. Although they are very important, pool pumps are also simple in design. A motor spins an impeller inside the pump, which creates suction, drawing water from a pool into a filter. From there, water is sent back into your pool and a basket inside the pump collects debris, so the impeller doesn’t clog. Save up to 60% on pool pump energy costs, paying for themselves in two to three years. Are more efficient, quiet, and gentle on the environment. Run at the most efficient speed for each operation. To be qualified, this must be a replacement for an existing pump and motor, or installed with new in-ground pool. Must be installed at an Parker Energy customer address and installed by an Parker Energy enrolled pool professional. Existing pools with solar heating are not eligible. If you are in the Parker, TX area, don’t hesitate to contact Texan Blue Pool Service for all of your installation, repair, service and maintenance needs for top-notch Hayward, Pentair, Jandy and Sta-Rite equipment. At Texan Blue Pool Service, we are confident we can repair, replace, or upgrade any Hayward, Pentair, Jandy or Sta-Rite pool pump. Usually, just one part of the pump stops working. If this is the case, one of our trained Parker technicians can properly diagnose the problem and provide a reasonable estimate to fix it. Some common problems include: pool pump motor not working, irregular water flow and leaks. If you are experiencing any pool pump problems anywhere in the Parker, TX area, please turn off your pump immediately and don’t hesitate to give us a call! Our technicians at Texan Blue Pool Service can help you in the installation of your brand new Hayward, Pentair, Jandy or Sta-Rite pool pump. You should know that the larger the pump, the more expensive, so be sure to consult your pool designer’s design chart or ask a technician about the smallest pump possible for your Parker pool. A pump generating 0.75 is usually sufficient for most residential pools. If you do have a smaller pool pump installed, be sure to get a larger filter and increasing or decreasing the length of the pipes as needed to help decrease circulation a little and help you save money. A little pool pump noise is normal, but if at any time the pool pump is louder than normal or emits a high-pitched whine, parts of your pool pump may be broken, worn or cracked. If this is the case, chances are you won’t need to replace the whole pump, but one part of it. So if the noise is abnormal it is possible that the seals on the pool pump are damaged, turn off your pool pump immediately and call one of our technicians at Texan Blue Pool Service. If your pool pump is beyond repair, we can replace it with a new one in no time! So, please if you are in the Parker, TX area, don’t hesitate to call Texan Blue Pool Service today! Pool pump maintenance is a must for keeping your Parker pool running smoothly. Be sure to regularly clean your pool pump and the area around it. This is to prevent algae from growing in and around the pump, which can clog your system and create other debris. Be sure to also dust off the pump itself so that dust doesn’t get into the system. Some sites may advise you to lubricate your motor. Do not do it. On modern equipment, this will only damage the rubber seals. 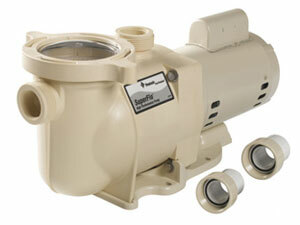 Efficient and in demand, Hayward strives to make quiet pools pumps that you can depend on, year round. For the past 50 years, Pentair has viewed pool pumps as not just another part of your pool, but the essential heart of your pool’s circulation system. These pumps are high quality and also easy to maintain. 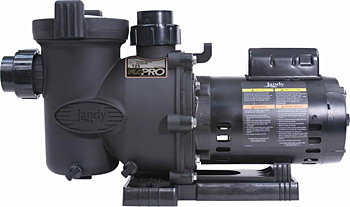 Jandy doesn’t just want to create pool pumps, but rather perfect pool pumps. Each Jandy product goes through a 24-point check system to make sure that every part of every piece of equipment is sturdy, dependable and efficient. 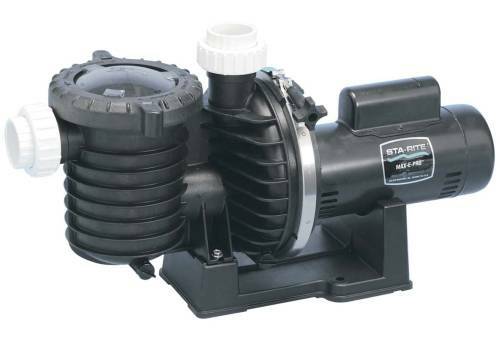 High quality performance and convenience in one package, Sta-Rite pool pumps reduce energy costs and noise pollution. When looking for an Parker pool pump, be sure to check the maximum and minimum water flow rate as well as the size, to pick the right pump for your pool. One term that might be used in reference to your pool pump is “feet of head.” This refers to the total resistance of the flow of water. The greater the resistance, which is measured in feet of head, the lower the flow rate. The greater the resistance, the harder it is for the pump to push through. If you need assistance or clarification regarding your pool pump’s water flow or any other pool pump-related questions, any of our technicians at Texan Blue Pool Service will be happy to answer your questions, wherever you are in the Parker, TX area. For more information on Parker pool pumps, you can call Texan Blue Pool Service, we’re happy to answer any questions you might have or check one of the web links below.